Howdy everyone! Sorry for the delay, Our Town Tuesday comes to you on Thursday. Enjoy! As if Starbucks isn’t already expensive, they announced they will be raising prices in Dallas, among other places, on their beverages. The smallest size ( 12oz) will see a 10 cent increase while the next biggest size, the Grande will not change. The only states that will not see a price hike are Florida and California. If you are looking for a place to de-stress from the extra money you will be paying for your morning cup-of-Joe, Lone Star Park is the place to be. Having been recently bought by Global Gaming Solutions, Lone Star Park has undergone some significant upgrades to start attracting a more diverse crowd. You can now relax in their recently renovated VIP lounge and bar, while watching your favorite sport on their high-definition TV’s. One customer said about his betting strategy, “Right now I’m even… So that’s winning.” Sounds good to me! And if horse betting doesn’t suit your fancy, how about getting in a game at the local tennis court? Around Richland Hills recreational areas, visitors can now expect to see white stop-sign shaped signs with a QR (or quick response) code on it. When scanned with a smartphone or similar device the user is directed to the city’s website for reserving tennis courts. QR codes like these can now be seen in places throughout the Dallas Ft. Worth area. Cities such as, Euless, Hurst, Colleyville, and North Richland Hills, are using them in a variety of ways to communicate information to the public in more efficient and cost-saving manner. Arlington has decided to use Microsoft Tags in Richard Greene Linear Park, which essentially provide the same function as a QR code but look more aesthetically pleasing. 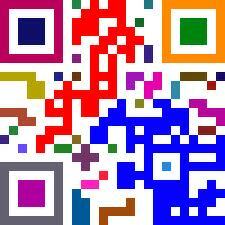 Mobile solutions, such as QR Codes, are just one of the ways companies are becoming more efficient. Building a mobile application can empower any company with the tools and information that will enable them drive additional productivity!